This is the topic of conversation in the Gionee S10. It comes with four awesome cameras. Get ready to take all kinds of shots. 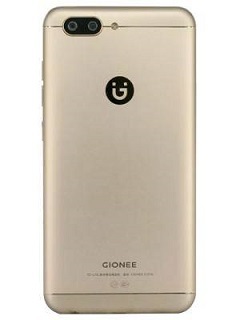 At the rear, the Gionee S10 combines 16-megapixel and 8-megapixel dual-tone sensors with dual LED flash and phase-detection autofocus. Selfie addicts will be greeted by generous "business tools" - a massive 20 megapixel sensor and an 8 megapixel sensor. This is obviously a camera for those who like to take a lot of pictures. It also records Full HD video at 30 frames per second. Under the hood, the Gionee S10 hides a MediaTek MT6757T Helio P25 eight-core processor. It operates at speeds up to 2.5 GHz and is supported by 4 GB of RAM and a Mali-T800 MP2 GPU. Gionee S10 would offer up to 6GB of RAM. The built-in storage capacity is 64 GB and you can increase the storage space by an additional 256 GB using a microSD card. The device launches Android Nougat 7.0 with Amigo 4.0 Skin from Gionee on top. The Gionee S10 now comes with a 3.450 mAh Li-Ion battery, which is an upgrade from the S9. There is a fingerprint scanner on the front that provides extra protection for your confidential information. The connectivity and communication capabilities available on the Gionee S10 include the microUSB 2.0 with USB Host, Bluetooth 4.0 and Wi-Fi Direct 802.11a / b / g / n / ac dual band. This is an option that you should consider when you are in the market for an LTE compatible device. Gionee S10 supports LTE to MTN, Etisalat and NTel in Nigeria. Gionee S10 is not yet available in Nigeria, Ghana or Kenya. If available, you can buy the smartphone from the country's leading online stores. The price of the Gionee S10 in Nigeria should be between 70,000 and 140,000 naira, depending on your location in the country.